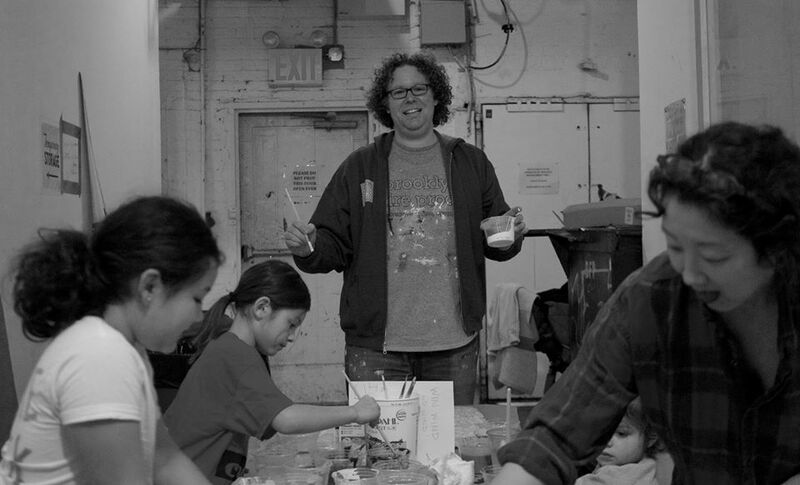 For the closing of our LANDSCAPES show, in collaboration with Kim Fraczek of Sane Energy Project (and promoting the brunch at adjacent restaurant/bar Terra Firma), BFP Creative hosted an afternoon of protest-art-making for children and their parents. 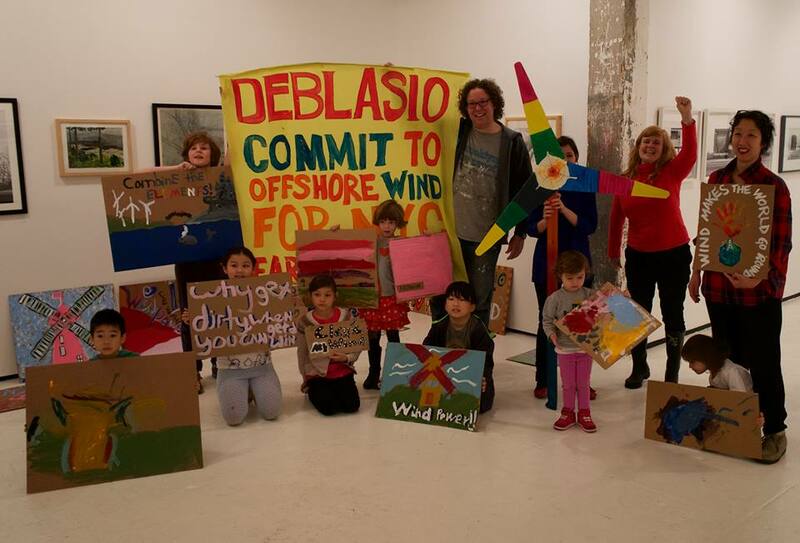 Most of the children agreed to donate their signs--made using environmentally friendly tempera paint on recycled cardboard--for Sane Energy Project's march that afternoon where the group called on Mayor DeBlasio to commit to offshore wind power as renewable, safe energy for New York. On April 9th, the New York City media hosted their annual Inner Circle Show (where the Mayor and the press trade spoofs in song and dance). This year’s theme was “Shamilton”. Sane Energy Project put on a show of their own outside the Hilton Midtown Hotel where the event was hosted, sporting Hamilton costumes and holding wind turbines, and the signs made by the kids as they called for Mayor de Blasio to commit to renewable energy (specifically wind power) for NY. The signs in action! Photos by Erik McGregor from Sane Energy Project.